Pre-workout with 248mg of caffeine per sachet. The Curse! by CobraLabs is a powdered food supplement made of beta-alanine, creatine monohydrate, L-citrulline and arginine AKG. It has caffeine. What are the properties The Curse? How to take The Curse? To take this pre-workout, you just have to mix 1 or 2 scoops (5-10g) in 150-250ml of water, shake properly and drink it before doing physical exercise. 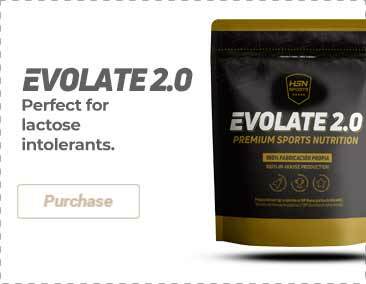 Amplifier Blend (L-Citrulline, L-Arginine AKG), Control Matrix (anhydrous caffeine (248mg), olive leaf extract (40% Oleuropein)), Fuel Blend (Beta-Alanine (CarnoSyn®), creatine monohydrate, citric acid), anti-caking agent (silicon dioxide), flavorings, acidity regulator (calcium silicate), sweetener (sucralose, acesulfame-K), color (bright blue FCP). Produced in a facility that processes foods that contain milk and soy. Once opened, store in a cool (under 25ºC), dry and dark place. Do not exceed the stated recommended daily dose. Keep out of reach of the smallest children. Nutritional supplements should not be used to replace a balanced diet. Not recommended for children nor pregnant or lactating women. It contains caffeine (248mg/8g). Test your tolerance with just one serving. For adults only. It must no used by people with pre-existing medical conditions or who are taking medicines, under 18 years of age, pregnant or lactating women nor those who are sensitive to caffeine or beta alanine. Stop taking if you experience any type of adverse reaction and consult your doctor. Do not consume with caffeine, alcohol or other stimulants. Consuming this product within 4 hours before going to sleep can cause difficulty to sleep. You may experience mild cutaneous tingling in the short term. Do not use if the container is pierced. This product has not been designed to diagnose, treat, heal or prevent any disease.